Whether you’re setting up your fitness business in 2012 or are an established name, have a think about your branding. How do you want to be known? What differentiates you from other fitness professionals in your area, or from other fit pros offering similar services? What impression do you want clients, potential clients and peers to have of you? Everything about your business, from your logo, to the tone of voice you use in social media, should support your brand. You don’t need a large company to have a brand. If you’re a one-man band, then you are your brand. Your branding resolution: Assess your business’s online and offline presence, to ensure that your brand is recognisable at a glance. 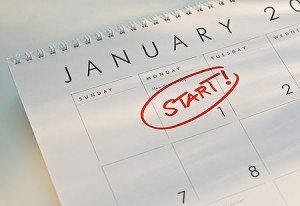 This month, choose one way to step up your marketing in 2012. Will you send out a regular newsletter to clients and prospects? Start making use of social media? Target local or national publications with the aim of getting your name mentioned in articles? A consistent approach to marketing is important. With so many platforms and avenues now available to you – many of them free – it’s important to decide which are the best fit for you. Then decide how much time you will dedicate to marketing, and make a plan. Your marketing resolution: Think about who you want to communicate with, how often and in what way. Then choose one method and devote some regular time to it. As any self-employed person knows, getting your finances in order is crucial to a smooth-running business. If you know you need to tackle the way you manage your business finances, make this the year you do so. Whether you need to think about getting VAT-registered, take on the services of a book-keeper or accountant, or simply think about the tools you use to keep track of expenses, take action now. Your finance resolution: Choose one aspect of business finances which need attention, and tackle them. Recruit professional help from a virtual assistant, book-keeper or accountant if necessary. Business administration could mean invoicing, marketing, social media, networking (online or offline), sales or any aspect of business finance management. Does your fitness business have an administrative weak spot? This is more likely if you’re a small business or sole trader, but even larger businesses, clubs or gyms may be able to identify areas of admin which could be streamlined. Which bit of business admin is holding you back, taking up most of your time or giving you the biggest headache? Make 2012 the year in which you’ll tackle it head on. Your business admin resolution: Identify the area of business admin which is causing you the biggest problem. Then find a way to solve it: whether it’s blocking time out of your diary every week or month, outsourcing, hiring a part-time office manager or using the services of a PA or VA (virtual assistant). As you can see, not all New Year’s resolutions have to be related to losing weight, getting fit or giving up a bad habit. 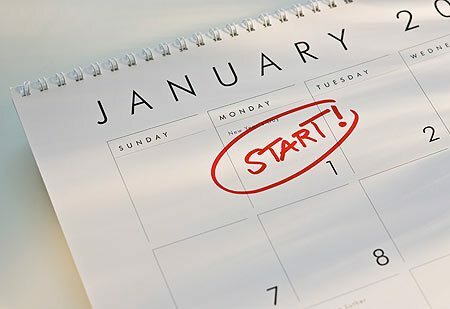 Make your resolutions business, rather than personal, and your fitness business will reap the rewards throughout 2012 and beyond.